The zinc salt of undecylenic acid has antifungal properties similar to those of undecylenic acid. 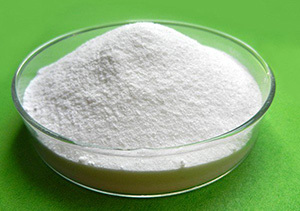 It is used alone or in association with undecylenic acid and its calcium salt in formulations (creams, pomades, powders) in human and veterinary therapeutics for treatment of microsporum, trichophyton, epidermophyton. Owing to its great safety of utilization and softness for epidermis it can be used in products for body hygiene. Purity 99% min by GLC. Loss on Drying at 105ºC 1.5%max. Solubility Test Practically insoluble in water, ethanol (96%) in ether. Zinc Undecylenate is used for its anti-fungal properties. Zinc Undecylenate is used as an active ingredient in powders and ointments for athlete’s foot. Zinc Undecylenate is a very economical anti-fungal agent and is used as an active ingredient in many topical over the counter anti- fungal preparations, both powders and ointments, it provides an astringent action, reducing rawness and irritation Fungicide. Zinc Undecylenate act as co-emulsifier in personal care products and as Fungicide, antibacterial agent in medicine.